Bu çalışmada, ultrases uygulamasının 150 W ve 375 W değerlerinde 3 ve 6 dakika sürede sıvı bütün yumurtanın fiziko-fonksiyonel kalite kriterlerine etkisi belirlenmiştir. Sıvı bütün yumurtanın pH, L*, a*, b* renk, köpük kapasitesi, köpük stabilitesi, ambalaj içi O2 ve CO2 gaz konsantrasyonu depolama süresince (4°C’de 5-6 hafta) ölçülmüştür. Ultrases uygulamasının yumurtanın kalite kriterlerinde; pH değerinde (7.37±0.04’den 7.46±0.02’e) artış ve depolamada CO2 konsantrasyonunda (35.50±0.10’den 17.43±0.32’e) azalma kaydedilmiştir. (375W-6 dk.). Çalışmada ultrases uygulaması, köpük kapasitesi değerleri üzerinde önemli düzeyde etki ederek; 410±14.14 (kontrol), uygulamalarda ise sırası ile; 565±7.07; 610±14.14; 607.5±17.68 ve 612.5±10.61 (150W-3 dk. ; 150W-6 dk. ; 375W-3 dk. ve 375W-6 dk.) değerleri belirlenmiştir. Uygulanan ultrases gücü ve uygulama süresinin artması ile birlikte yumurtaların köpük kapasitelerinin arttığı sonucuna ulaşılmıştır. Ultrasesin sıvı yumurtanın fizikofonksiyonel özellikleri üzerindeki etkisi incelendiğinde sonikasyon tekniğinin raf ömrünün arttırılması ve fonksiyonel özelliklerinin geliştirilmesi amacıyla kullanılabilme potansiyeli belirlenmiştir. The effects of different ultrasound powers (150 W and 375 W) and exposure times (3 min and 6 min) on physico-functional properties of liquid whole eggs were investigated. Whipping capacity, foaming stability, pH, L*, a*, b* color, package headspace O2 and CO2 gas concentration were analyzed at weekly intervals during storage (5-6 weeks at 4°C). Ultrasound has improved the whipping capacity and maintained quality criteria’s in increasing shelf life during storage, stabilizing pH and limiting CO2 especially in 375W-6 min. Ultrasound has provided a significant increase on whipping capacity values from 410±14.14 (control/untreated) to 565±7.07; 610±14.14; 607.5±17.68, and 612.5±10.61, respectively (150W-3 min; 150W-6 min; 375W-3 min and 375W-6 min). Egg’s whipping capacity values were increased with increasing exposure time and power (Watt). Sonication has a potential to become significant breakthrough and improve functional properties of eggs during storage while increasing shelf-life. Mine, Y., Egg Bioscience and Biotechnology. Wiley-Interscience & Sons, Inc., Publication: Hoboken, New Jersey, USA, 2007. Huopalahti, R.; López-Fandiño, R.; Anton, M.; Schade, R., Bioactive Egg Compounds. Springer-Verlag: Berlin Heidelberg., 2007. Arzeni, C.; Pérez, O. E.; Pilosof, M. R., Aggregation and Gelation Properties of Egg White Proteins as Affected by High Intensity Ultrasound. In 11th International Congress on Engineering and Food, Athens, Greece, 2011. Gould, G. W., Emerging Technologies in Food Preservation and Processing in the last 40 years. In Innovations in Food Processing, Barbarosa-Canovas, G. V.; Gould, G. W., Eds. Technomic Publishing Co.: Lancaster, PA, USA, 2000; pp 1-11. Stoica, M.; Mihalcea, L.; Borda, D.; Alexe, P., Non-thermal novel food processing technologies. An overview. Journal of Agroalimentary Processes and Technologies 2013, 19, 212-217. Dolatowski, Z. J.; StadStasiak, D., Applications of Ultrasound in Food Technology. Acta Sci. Pol., Technol. Aliment. 2007, 6, 89-99. Chemat, F.; Huma, Z.; Khan, M. K., Applications of ultrasound in food technology: Processing, preservation and extraction. Ultrasonics Sonochem. 2011, 18, 813-35. Piyasena, P.; Mohareb, E.; McKellar, R. C., Inactivation of microbes using ultrasound: a review. Int. J. of Food Microbiol. 2003, 87, 207-216. Soria, A. C.; Villamiel, M., Effect of ultrasound on the technological properties and bioactivity of food: a review. Trends in Food Sci. & Techn. 2010, 21, 323-331. Vilkhu, K.; Mawson, R.; Simons, L.; Bates, D., Applications and Opportunities for Ultrasound Assisted Extraction in The Food Industry — A Review. Inv. Food Sci. & Emerg. Tech. 2008, 9, 161-169. Rastogi, N. K., Opportunities and challenges in application of ultrasound in food processing. Crit. Rev. Food Sci. Nutr. 2011, 51, 705-22. Mason, T. J.; Paniwnyk, L.; Lorimer, J. P., The Uses of Ultrasound in Food Technology. Ultrasonics sonochemistry 1996, 3, 253-260. Adewuyi, Y. G., Sonochemistry- Environmental Science and Engineering Applications. Ind. Eng. Chem. Res. 2001, 40, 4681-4715. Ozdemir, M.; Floros, J. D., Active Food Packaging Technologies. Crit. Rev. Food Sci. Nutr. 2004, 44, 185-93. McClements, D. J., Advances in the Application of Ultrasound in Food Analysis and Processing. Trends in Food Sci. & Tech. 1995, 6, 293-299. Fellows, P. J., Food Processing technology: Proiciples and Practices. Woodhead publishing: 2000. Aboonajmi, M.; Akram, A.; Nishizu, T.; Kondo, N.; Setarehdan, S.; Rajabipour, A., An Ultrasound based Technique for the Determination of Poultry Egg Quality. Res. Agri. Eng. 2010, 56, 26-32. Dolatowski, Z.; Stadnik, J.; Stasiak, D., Applications of Ultrasound in Food Technology. Acta Sci. Pol. Technol. Aliment. 2007, 6, 89-99. Baysal, T.; Demirdöven, A., Ultrasound in Food Technology. In Handbook on Applications of Ultrasound: Sonochemistry for Sustainability, Chen, D., Ed. CRC Press Inc.: USA, 2012. Ercan, S. Ş.; Soysal, Ç., Use of ultrasound in food preservation. Natural Science 2013, 05, 5-13. Demirdöven, A.; Baysal, T., The Use of Ultrasound and Combined Technologies in Food Preservation. Food Reviews International 2008, 25, 1-11. Aboonajmi, M.; Setarehdan, S. K.; Nishizu, T.; Kondo, N., Prediction of Poultry Egg Freshness Using Ultrasound Technique. b.t. Huang, E.; Mittal, G. S.; Griffiths, M. W., Inactivation of Salmonella enteritidis in Liquid Whole Egg using Combination Treatments of Pulsed Electric Field, High Pressure and Ultrasound. Biosys. Eng. 2006, 94. Arzeni, C.; Pérez, O. E.; Pilosof, A. M. R., Functionality of egg white proteins as affected by high intensity ultrasound. Food Hydro. 2012, 29, 308-316. Lee, D. U.; Heinz, V.; Knorr, D., Effects of combination treatments of nisin and high-intensity ultrasound with high pressure on the microbial inactivation in liquid whole egg. Inn. Food Sci. & Emer. Techn. 2003, 4, 387-393. Cabeza, M. C.; Garcia, M. L.; De La Hoz, L.; Cambero, I.; Ordonez, J. A., Thermoultrasonication Eliminates Salmonellae from Intact Eggshells without Changing the Functional Properties of their Components. J. Food Sci. 2005, 70, 292-295. Aygun, A.; Sert, D., Effects of ultrasonic treatment on eggshell microbial activity, hatchability, tibia mineral content, and chick performance in Japanese quail (Coturnix coturnix japonica) eggs. Poult. Sci. 2012, 91, 732-8. Sert, D.; Aygun, A.; Demir, M. K., Effects of ultrasonic treatment and storage temperature on egg quality. Poult. Sci. 2011, 90, 869-75. Sert, D.; Aygun, A.; Torlak, E.; Mercan, E., Effect of ultrasonic treatment on reduction of Esherichia coli ATCC 25922 and egg quality parameters in experimentally contaminated hens' shell eggs. J. of the Sci. of Food and Agric: 2013, 93, 2973-2978. Ordonez, J. A.; Burgos, J., Effect of ultrasonic waves on the heat resistance of Bacillus spores. App. and Environ. Microb. 1976, 183-184. Garcia, M. L.; Burgos, J.; Sanz, B.; Ordoñez, J. A., Effect of heat and ultrasonic waves on the survival of two strains of Bacillus subtilis. J. of App. Microb. 1989, 67, 619-628. Feng, H.; Barbarosa-Canovas, G. V.; Weiss, J., Ultrasound Technologies for Food and Bioprocessing. Springer Science +Business Media: 2011. USDA Egg Pasteurization Manual; U.S. Department of Agriculture, Agricultural Research Service: 1969. Froning, G. W.; Peters, D.; Muriana, P.; Eskridge, K.; Travnicek, D.; Sumner, S. S., International Egg Pasteurization Manual. In USA, 2002. Yuceer, M.; Caner, C., Antimicrobial lysozyme-chitosan coatings affect functional properties and shelf life of chicken eggs during storage. Journal of the science of food and agriculture 2014, 94, 153-62. Stadelman, W. J.; Cotterill, O. J., Egg Science and Technology The Haworth Press Inc - Food Products Press: New York., 1995. Monfort, S.; Sagarzazu, N.; Condón, S.; Raso, J.; Álvarez, I., Liquid Whole Egg Ultrapasteurization by Combination of PEF, Heat, and Additives. Food and Bioprocess Technology 2013, 6, 2070-2080. Sampedro, F.; Rodrigo, D.; Martínez, A.; Barbosa-Cánovas, G. V.; Rodrigo, M., Review Application of Pulsed Electric Fields in Egg and Egg Derivatives. Food Science and Technology International 2006, 12, 397-405. Patrignani, F.; Vannini, L.; Sado Kamdem, S. L.; Hernando, I.; Marco-Molés, R.; Guerzoni, M. E.; Lanciotti, R., High pressure homogenization vs heat treatment: Safety and functional properties of liquid whole egg. Food microbiology 2013, 36, 63-69. Geveke, D. J.; Torres, D., Liquid egg white pasteurization using a centrifugal UV irradiator. International journal of food microbiology 2013, 162, 43-7. Caner, C.; Yüceer, M., Efficacy of various protein-based coating on enhancing the shelf life of fresh eggs during storage. Poultry science 2015, 94, 1665-77. Yüceer, M.; Temizkan, R.; Caner, C., Evaluation of Color Changes in Various Edible Coated Eggs during Storage. In XVI. European Symposium on the Quality of Eggs and Egg Products, Nantes, France, 2015; Vol. Poster Presentation. Caner, C.; Yuceer, M., Maintaining functional properties of shell eggs by ultrasound treatment. Journal of the science of food and agriculture 2015, 95, 2880-91. Min, B. R.; Nam, K. C.; Lee, E. J.; Ko, G. Y.; Trampel, D. W.; Ahn, D. U., Effect of irradiating shell eggs on quality attributes and functional properties of yolk and white. Poultry science 2005, 84, 1791-1796. Macherey, L. N.; Conforti, F. D.; Eigel III, W.; O’Keefe, S. F., Use of Mucor miehei Lipase to Improve Functional Properties of Yolk-Contaminated Egg Whites. 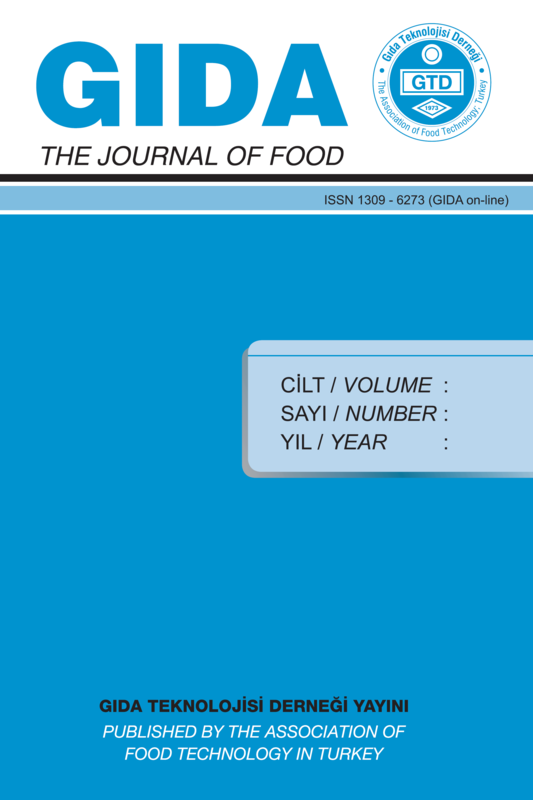 Journal of food science 2011, 76, C651-C655. Kuropatwa, M.; Tolkach, A.; Kulozik, U., Impact of pH on the interactions between whey and egg white proteins as assessed by the foamability of their mixtures. Food Hydrocol. 2009, 23, 2174-2181. Lomakina, K.; Mikova, K., A study of the factors affecting the foaming properties of egg white – a review. Czech J. of Food Sci. 2006, 24, 110-118. Cervenka, L.; Brozkova, I.; Vytrasova, J., Effects of the principal ingredients of biscuits upon water activity. Journal of Food and Nutrition Research 2006, 45, 39-43. Spencer, J. E.; Scanlon, M. G.; Page, J. H., Drainage and Coarsening Effects on the Time-Dependent Rheology of Whole Egg and Egg White Foams and Batters. Ahmed, J.; Ramaswamy, H. S.; Alli, I.; Ngadi, M., Effect of high pressure on rheological characteristics of liquid egg. LWT - Food Science and Technology 2003, 36, 517-524. Ruth, C.; Veldea, J. V.; Mathuesa, W.; Liedekerkeb, P. V.; Moldenaersa, P., A rheological characterisation of liquid egg albumen. In InsideFood Symposium, Leuven, Belgium, 2013; pp 1-6. Yüceer, M. Kolesterolü Azaltılmış Yumurta Sarısı Üretimi ve Düşük Kolesterollü Mayonez Üretiminde Kullanımı. M.Sc. Dissertation (Yüksek Lisans Tezi), İstanbul Teknik Üniversitesi, İstanbul, 2007. İbanoğlu, E.; Alben, E. Protein-Hidrokolloid Sistemlerinde Fonksiyonel ve Reolojik Özellikler; TÜBİTAK: Gaziantep, 2007. Yüceer, M.; Temizkan, R.; Aldemir, H.; Caner, C., Enzim Modifiye Sıvı Yumurta Akının Reolojik Karakterizasyonu. In 6. Ulusal Veteriner Gıda Hijyeni kongresi, Sancak, P. D. Y. C., Ed. (Sözlü Sunum): Van, 2015. Marcet, I.; Collado, S.; Paredes, B.; Díaz, M., Rheological and textural properties in a bakery product as a function of the proportions of the egg yolk fractions: Discussion and modelling. Food Hydrocolloids 2016, 54, 119-129. Ragni, L.; Berardinelli, A.; Cevoli, C.; Sirri, F., Admittance Measurements to Assess the Total Solids and Fat Contents in Liquid Whole Egg Products. J. of Food Eng. 2011, 107, 179-185. Wang, Y.; Zhang, M.; Adhikari, B.; Mujumdar, A. S.; Zhou, B., The Application of Ultrasound Pretreatment and Pulse-Spouted Bed Microwave Freeze Drying to Produce Desalted Duck Egg White Powders. Drying Technology 2013, 31, 1826-1836. Stefanovic, A. B.; Jovanovic, J. R.; Dojcinovic, M. B.; Levic, S. M.; Nedovic, V. A.; Bugarski, B. M.; Knezevic-Jugovic, Z. D., Effect of the Controlled High-Intensity Ultrasound on Improving Functionality and Structural Changes of Egg White Proteins. Food and Bioprocess Technology 2017, 10, 1224-1239. Hutchings, J. B., Food color and appearance. 2.nd Edition ed. ; Gaithersburg: Aspen Publishers: 1999. Su, H.-P.; Lin, C.-W., A new process for preparing transparent alkalised duck egg and its quality. Journal of the science of food and agriculture 1993, 61, 117-120. Damodaran, S.; Paraf, A., Food Proteins and Their Application. Marcel Dekker, Inc., New York. : 1997. Mine, Y., Recent Advances in The Understanding of Egg White Protein Functionality. Trends in Food Sci. & Techn. 1995, 6, 225-232. Stadelman, W. J., Quality identification of shell eggs. In Egg Science and Technology, Stadelman, W. J.; Cotterill, J., Eds. The Haworth Press Inc. 4th ed. Westport, Conn.: AVI. Publishing. : New York., 1995; pp 39-66. Johnson, T. M.; Zabik, M. E., Ultrastructural Examination of Egg Albumen Protein Foams. Journal of food science 1981, 46, 1237-1240. Knorr, D.; Zenker, M.; Heinz, V.; Lee, D.-U., Applications and potential of ultrasonics in food processing. Trends in Food Science & Technology 2004, 15, 261-266. Ma, C. Y.; Harwalkar, V. R.; Poste, L. M.; Sahasrabudhe, M. R., Effect of gamma irradiation on the physicochemical and functional properties of frozen liquid egg products. Food Research International 1993, 26, 247-254. Damodaran, S., Amino acids, peptides, and proteins. In Fennema's Food Chemistry, Fourth Edition ed. ; Damodaran, S.; Fennema, O.; Parkin, K.; Decker, E.; Sikorski, Z.; McClements, D.; Brecht, J.; Schwartz, S.; Swaisgood, H.; Ho, C., Eds. Boca Raton: CRC Press. : London, UK, 2007; pp 269-281.